From Bolivia to the USA, Happy Independence Day! While in Bolivia the (now very boring and almost daily) sound of fireworks means someone is protesting something, it's nice to remember the awesome firework displays in the US symbolize America's undying optimism and hope, and unflinching stance for freedom in all of its forms. 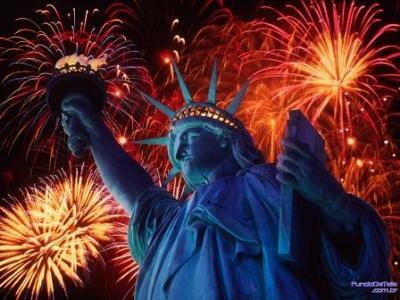 Have a joyous July 4th!